Moscow, Raqqa- Russian President Vladimir Putin uncovered on Thursday his vision regarding a political solution in Syria, proposing a congress bringing together representatives of all ethnic groups in Syria following the establishment of de-escalation zones. “If this is done with the support of the guarantor countries, such as Saudi Arabia and Egypt, it would mark the next step on the way to finding a political solution and drawing up a new constitution, but it is too early to talk about that,” the president added. Putin also expressed concern that the setup of de-escalation zones may lead to Syria’s division, hoping that cooperation between all forces in the country would prevent it. The Russian president said he was also concerned of the complicated dialogue between the Syrian regime and opposition. “There are grounds to expect, and I’d be cautious, that we will soon finish off the terrorists in Syria, but this is not the reason yet to be glad and think that they have been eliminated once and for all,” he added. 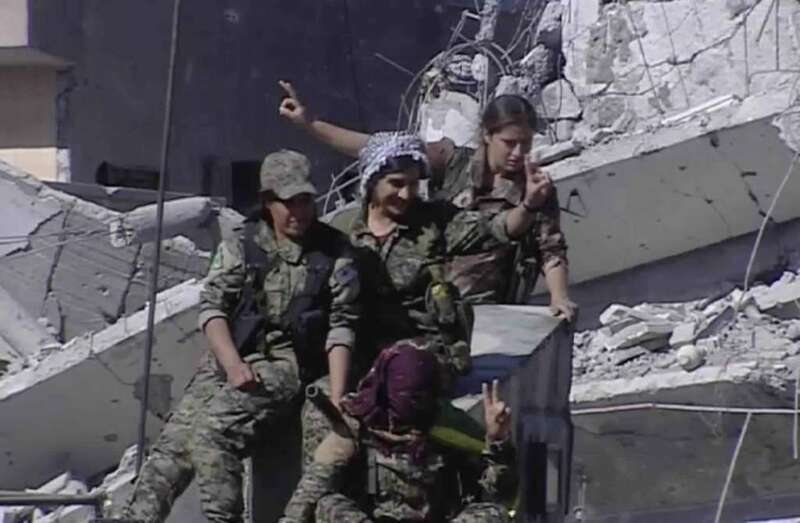 Meanwhile, the Syrian Democratic Forces (SDF) retained on Thursday full control over the city of Raqqa. The Women’s Protection Units, which is affiliated to the People’s Protection Units (YPG), organized on Thursday a military parade in Raqqa’s Al-Naim Square, where they raised a portrait of Abdullah Ocalan, leader of the Kurdistan Workers’ Party (PKK), considered a terrorist organization by Turkey. Meanwhile, Raqqa is getting prepared to be handed over to a civilian authority. Separately, the Israeli Army shelled on Thursday Syrian regime positions in Quneitra in the Golan Heights.